It's summer and Dani Callanzano has been abandoned by everyone she knows. Her dad moved out, her mom is all preoccupied being broken-hearted, and her closest friend just moved away. Basically it's the end of the world. At least she has the Little Art, her favorite local arthouse movie theater. Dani loves all the old black-and-white noir thrillers with their damsels in distress and their low camera angles. It also doesn't hurt that Jackson, the guy who works the projection reel, is super cute and nice and funny. And completely off-limits, of course--he's Dani's friend's boyfriend, and they are totally, utterly perfect together. But one day, Dani stumbles across a shocking secret about Jackson--a secret too terrible for her to keep. She finds herself caught in the middle of a love triangle with enough drama to rival the noir-est film noir she's ever seen. 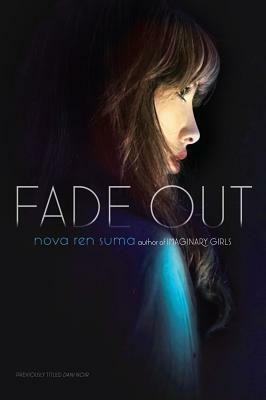 Nova Ren Suma was a fellow in fiction with the New York Foundation for the Arts and received an MFA in fiction from Columbia University. She is the author of Imaginary Girls and lives in New York. Find out more at NovaRen.com and follow her on Twitter at @NovaRen.